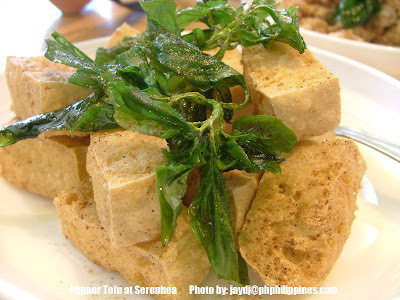 This is a delicious snack of tofu sprinkled with pepper garnished with crunchy basil leaves served at Serenitea. We Got Your Surrounded ! Icy Bubbles or Bubbly Ice ?